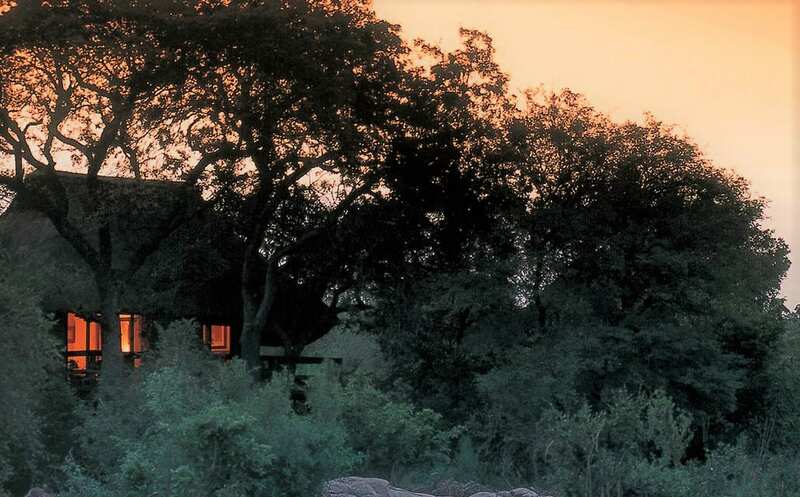 Little Bush Camp sits in the shade of indigenous riverine trees on the banks of the Msuthlu river. 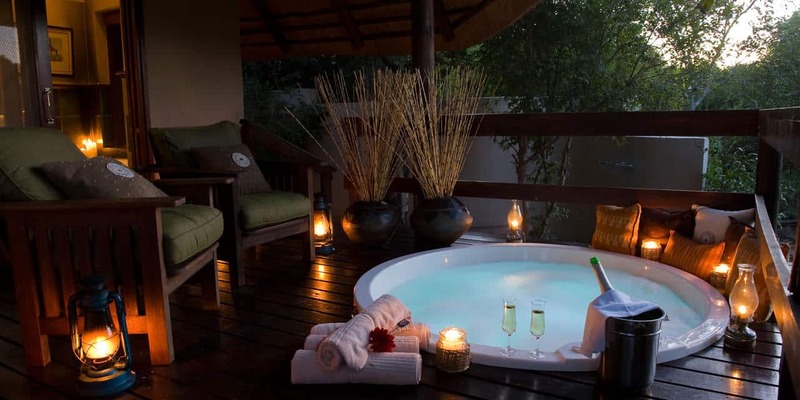 A small, superbly luxurious five star (plus) Lodge, it is particularly well-suited to groups of family and friends, honeymooning couples or those celebrating anniversaries. 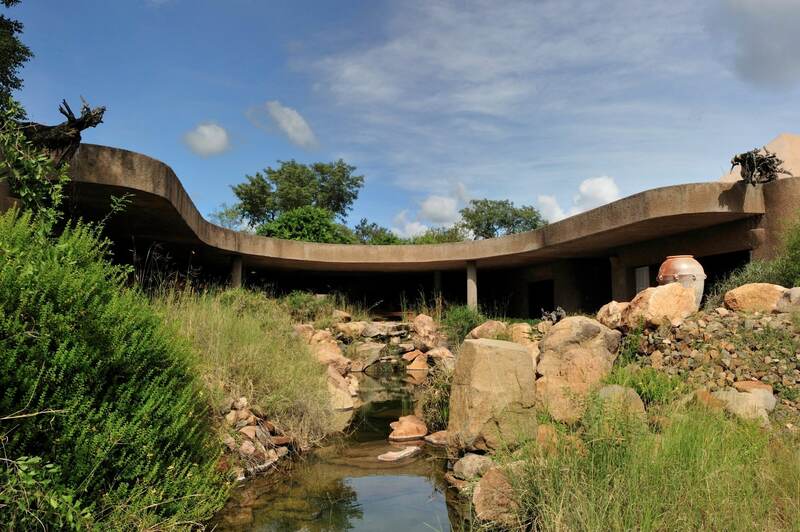 Set in its own corner of Sabi Sabi’s large property, it benefits from seclusion and an exclusive, intimate feel. 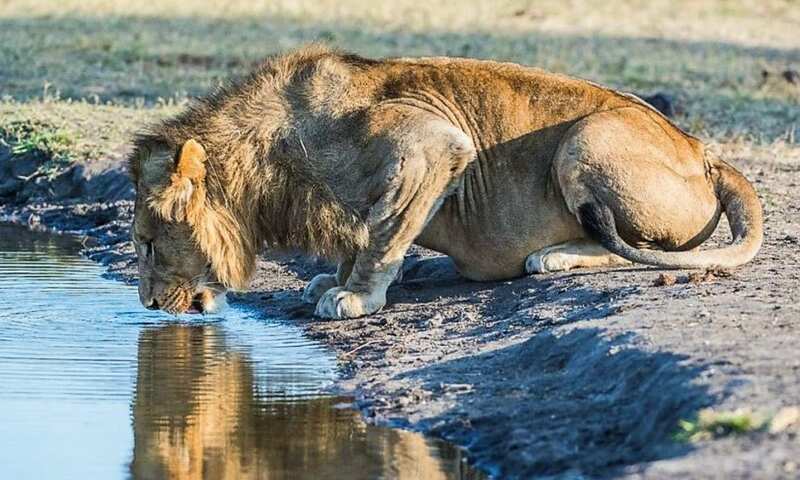 Game viewing is excellent and the rangers and trackers go the extra mile to get you the best sightings in the 6,000 hectares of Sabi Sand that the lodge group shares with Notten’s Bush Camp. 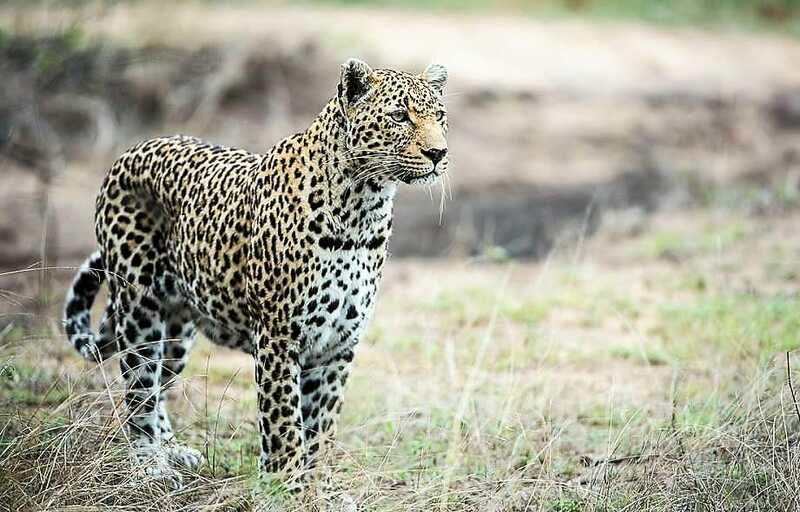 Leopards abound. 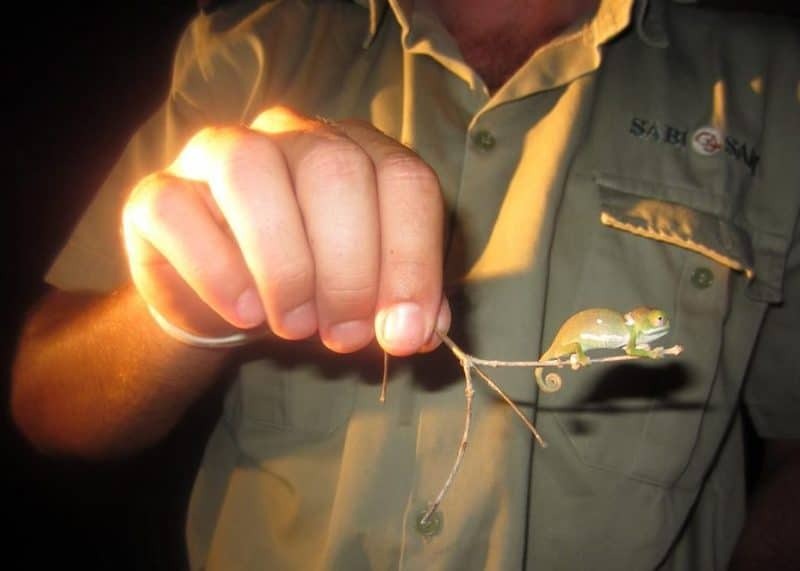 Little Bush Camp benefits from its small size with increased flexibility. 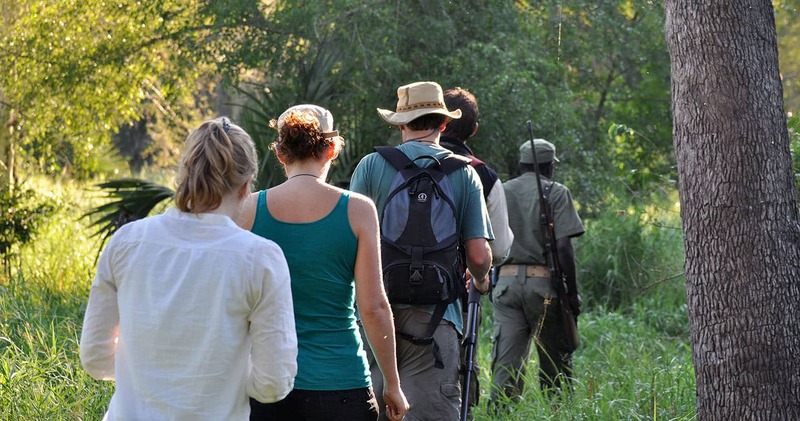 Tell your rangers about any particular interests you have in addition to the Big Five and they will work hard to fulfil them. 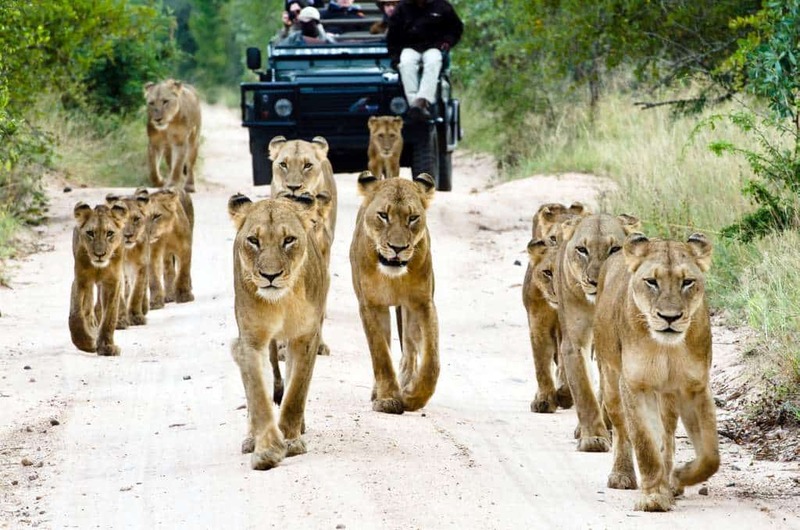 The small number of guests carried on vehicles creates the chance to linger over photography at sightings. Some of the guides are particularly keen photographers. A dedicated Photography Host and vehicle can be hired. 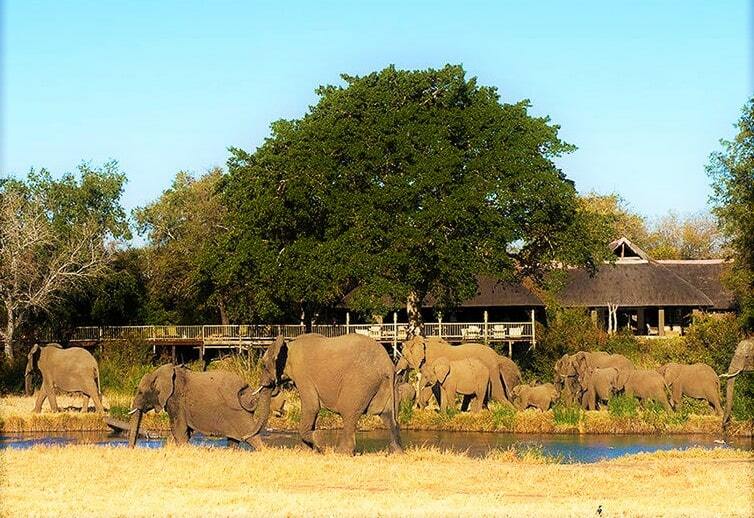 Take advantage of the opportunity to walk here as you are in a prime game viewing territory and it is an experience hard to surpass. There are six luxury suites. Design is contemporary and African themed. 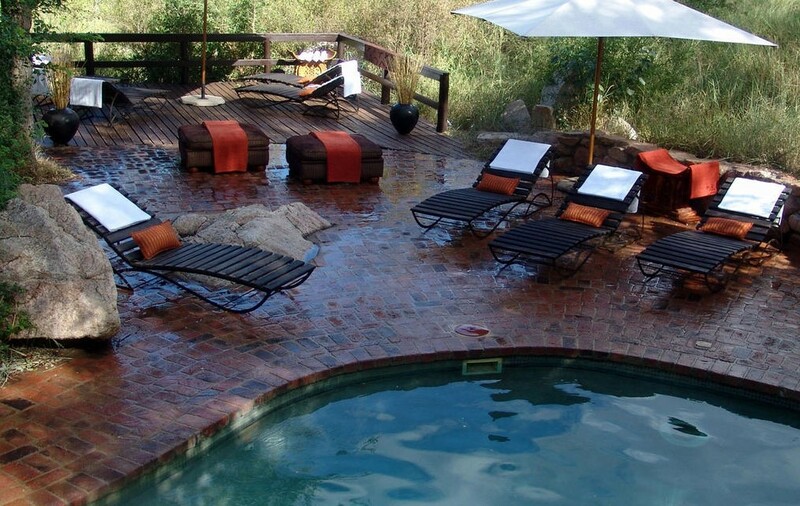 Each has a private viewing deck with an outdoor heated spa bath overlooking the riverbed. 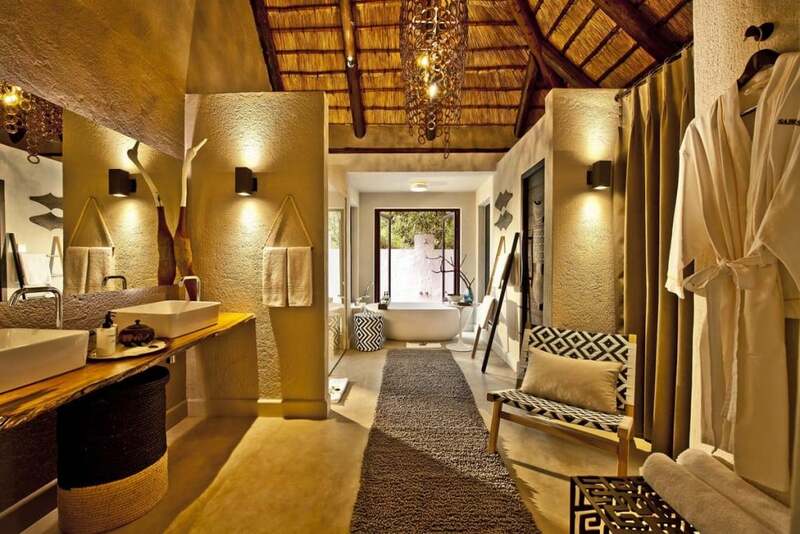 Full bathrooms are en-suite; there are indoor and outdoor showers. 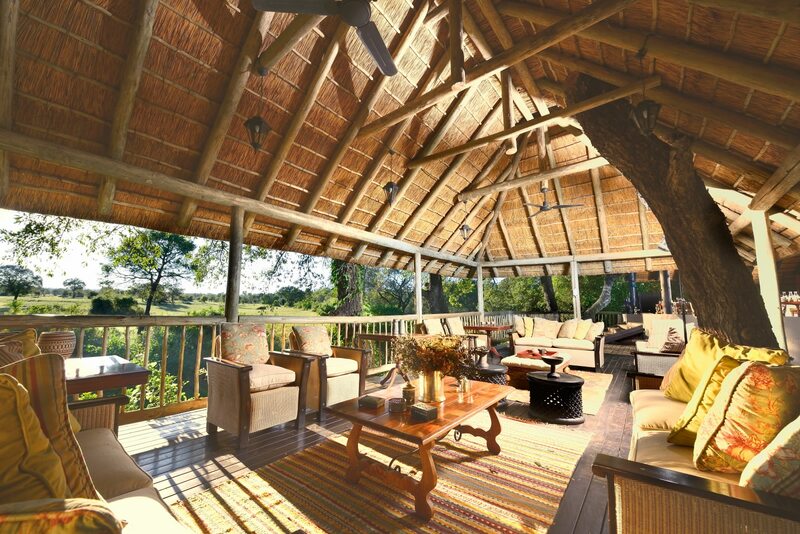 All suites have thatched roofs with air-conditioning. 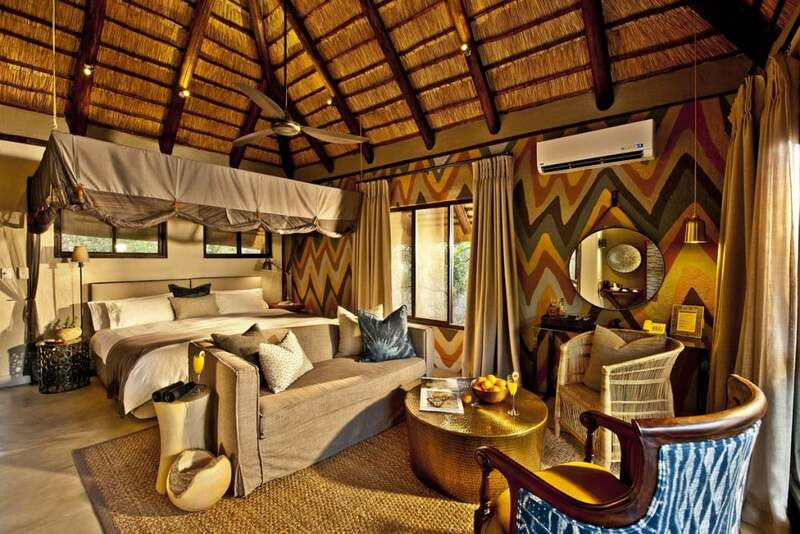 Mosquito nets draped over the comfortable beds and beautiful wooden finishes complete the picture of an exclusive safari getaway. 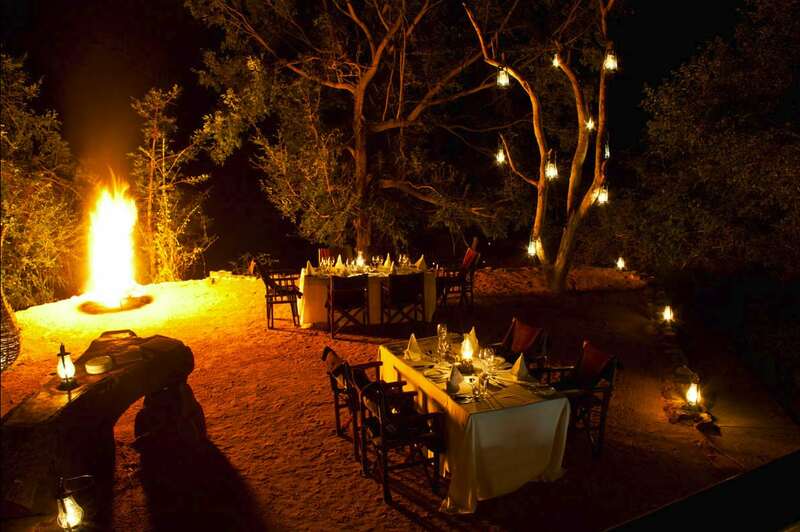 Delicious dinners are eaten outside under gently lit trees, on a dry riverbed, or are specially set up out in the bush.